This week, possibly more than any other week, to get the full picture of the happenings of the house we need to take a step back and look at the events that got us here. Looking at Paulie sitting on the block, crying and dancing with butterflies in the back yard, may be entertaining (or pitiful, depending on how you look at it) but it doesn't give us the full story. A lot has transpired since my last column just a week ago, and a lot of it has been talked about on the interwebs at length, so this week I am going to provide just my brief take on the action that was, and talk a little about the collapse of one ‘P’ and the conquest of the other. I think something needs to be made abundantly clear. Did the Natalie and Paulie blow out leave Paulie looking foolish? Absolutely. Does Paulie look undeniably like a disrespectful chauvinist? You bet. But was this one blow out the cause of Paulie’s entire demise? Not a chance. A lot of people think to seem Paulie’s quarrel with Natalie spelt the beginning of the end for his game, but from my perspective, it was rather the end of the end for his game. The beginning of the end of Paulie’s game began when he decided that out of pride alone he was going to win every competition he could get his hands on. This isn't genius Big Brother insight, and I don't claim it to be. 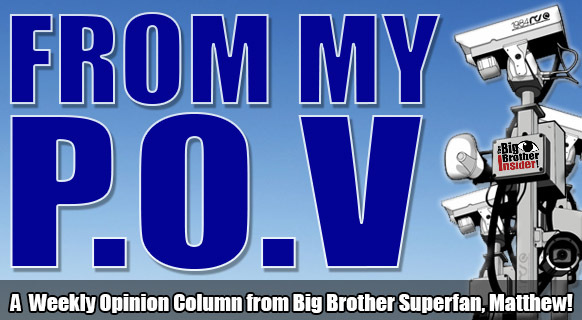 Its more like Big Brother 101. Its been seen more times than I will bother listing - the competition beasts paint a target on their own backs. Now its fair to say that Paulie was in the majority, and he was winning those competitions for the people he thought were going to be his game-long allies and would be heralded as a hero among them. That was his mindset, and its logical when taken in context. Still, though, Paulie came into this game with returnee upside. 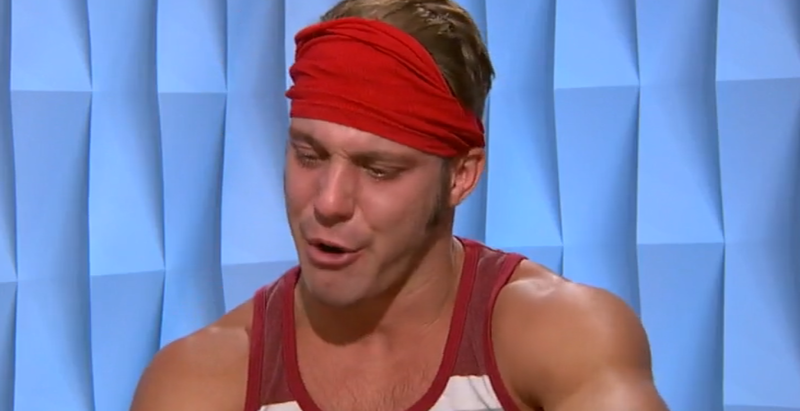 He had the benefits of conversations with Derrick, Cody, and who knows who else, and I promise you they told him to limit his competition wins - but that order was one that Paulie simply was too proud to fill. It was all well and good with everyone while he was protecting them, but its only ever a matter of time before people become intimidated with such competition prowess. That was mistake number one. Mistake number two was possibly more flagrant and definitely more damning as time went on, and we saw it reach a fever pitch in Paulie and Paul’s relationship. Heres some more Big Brother 101 (Maybe 102, I guess its a little more advanced) - When you're in an alliance with someone, even if you're totally misting them and using them to your advantage and on a personal level its completely disingenuous, they need to feel like you are doing whats best for their game as much as (if not more) than whats best for your game. In any alliance, your Beta, or your partner, or your team, or however you want to put it - they want to feel like you're progressing their game and that you are doing whats best for them in the end. It boils down to plain ole’ human nature, really. We all want whats best for ourselves, and if it benefits our BFFs in the process then thats great, but at the end of the day its all about the person looking back at you in the mirror. 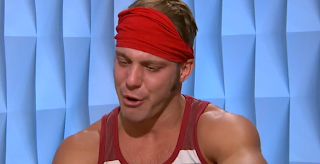 Paulie became so negligent of this manipulation tactic of leading alliance members to believe what was best for him was also what was best for them that he wasn't even trying to convince them of it anymore, he was just dictating to them what their next move had to be and why. The perfect (and recent) example of this is the aforementioned disagreement between Paulie and Paul. Paul had finally recognized that Paulie had been getting his way for weeks, and that keeping Z was a move that most certainly benefitted no one but Paulie, so it was reasonably time for Paulie to give a little back in the alliance and allow Z to be targeted over Michelle. Paulie, though, couldn't let this be. Despite the fact that Z was really no benefit to his game whatsoever other than having two votes on eviction night, essentially, Paulie needed to be in the control position in the alliance. To anyone with a lick of a social science background, it was beyond obvious to see. In the end it wasn't about his relationship with Z, or what was best for his game, it was about remaining in the control position. And that, marked the essential downfall of his game. The rest of the alliance carried out the plan without him, and he is no left on the outs, sitting on the block. Relationships, in life, are filled with give and take. Sometimes you’ll get your back scratched, but you need to be ready to do some back scratching in return in the near future. Paulie wasn't willing to make that compromise, and that's whats put him where he is now. Paulie wasted all of his good will and political capital on a failed move to assert his dominance, and now - barring the possession of the RT ticket - it’ll spell the end for him. In all, my point is this, Paulie’s feud with Natalie may have shown his true personal colors in a lot of ways, but it wasn't what spelled the end of his game. That, coupled with his pre-live-show blow out with James, may have put the final nail in the coffin, but Paulie’s game was taking a turn for the worst long before those events transpired. Ironically, in a sense, the person who is playing the most magnificent game at the moment is the person who in many ways is least like Paulie - his former PP brother-in-arms, Paul. I tweeted this sentiment on Sunday, and i’ll say it again here for good measure, Paul confounds me. I have never, in my entire BB Fandom, been more conflicted and up and down over a single player. At first, I hated his loud mouth attitude and superiority complex. Then, I liked him. I found him entertaining, cheeky, fun, and he seemed to be picking up on the nuances of the game. Then, I hated him again. I couldn't stand his “OHs” and his “PISSEDs” and his “FRIENDSHIPs”. Like, really. I couldn't stand it. It was getting to the point where I was feeling real world anger every time they would show him yelling one of his stupid catch phrases. NOW, I respect him more than any other player in the house in terms of the game he is playing. In the same sense that I said Paulie has all the perks of a returnee via coaching and inside information, Paul is the total opposite. Paul is a recruit who openly admits to having never seen a season of the show, and only watching a few episodes of BB16 in sequester before getting bored and deciding he didn't want to watch it anymore. All that being the case, Paul has still masterfully picked up on the nuances of the game and has proved amazingly adaptable. Do I still think his personal quirks are grinding? Absolutely. I wish he would drop all of that and just focus on what a great gamer he's turning out to be - but if he can keep up the level of strategic acumen he's displaying, ill be happy to tolerate all of his other nonsense. I want to stress something I said in the last paragraph, what impresses me most about Paul in this game is his adaptability. I have always said, if I ever play the game of Big Brother, my only strategy is to be adaptable. Some people say thats a cop out, and that saying your strategy is to be adaptable is just a way of saying you don't have a strategy - and let me be the first to tell you, you're wrong. Nothing ever happens the same way twice in the Big Brother house, that much is a fact. That being the case, when people go in with their mind made up on the game their going to play, they often get tunnel vision for that strategy and fail to see what other opportunities are opening up before them. Standard example - Either girls, or guys, wanting to make an all-girls and/or all-guys alliance. It might work out, but when it inevitably doesnt, theres always that one guy or girl so dead set on making their plan work that instead of being adaptable they fight like hell to save their failed strategy and find themselves evicted in week 3 because of it. When you embrace the idea that the Big Brother house is a wild and chaotic place where you need to be ready to uproot and reseed your entire strategy at a moments notice, that is when you will succeed. And that, my friends, is exactly what Paul is doing. He has shifted his strategy and alliances with and away from the power with amazing awareness, he's shown incredible interpersonal and social skills, and he's displaying an upper tier understanding of the games strategic nuances of the game on a level that not one of the four returnees were displaying this season, let alone any of these other sheeps. It may have taken him a minute to get there, but Paul is turning into a game player, yet. I think his story arch as a strategist and as a player is frankly undeniably impressive, despite my personal feelings on his beyond-annoying quirks. In all, barring a miracle or a round trip ticket pull, I think we’ll see Paulie heading out the door on Thursday. And from the ashes of the PP alliance rises a phoenix of the game in Paul. With his ups and downs, its almost guaranteed that next week’s article with be riddled with my scathing annoyance-induced hatred of Paul, but for now, this is his moment and he is playing the strategic game we all hope to see out of a season of Big Brother. Honestly, I think its too late for this season to be wholly salvaged. It will go down in BB history as one of the least entertaining, least strategic, most disappointing seasons in the show’s long run. That, though, doesn't mean we cant pull for an average last 30-something days, which is essentially all I am expecting at this point. If in the last month we can at least see some average-level game play and a continued learn-as-we-progress strategic uptick from some of the HGs, i’ll accept that as a relative victory.